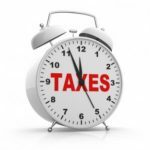 Are you expecting an income tax refund? If so, you’re not alone. 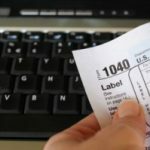 Based on IRS statistics, there were nearly 142 million federal tax returns filed last year, of which nearly 109 million (ca. 79%) of resulted in an income tax refund. The total amount refunded was a little more than $362 billion, for an average of $2, 994 per refund. Wow. That’s a huge amount of money overall, and a tidy sum on a per capita basis. So… If you’re expecting a refund, have you given any thought as to what you’ll do with it? If you’re expecting a tax refund, how do you plan to use it? All in all, I was pleased to see that over three-quarters of all respondents (77.2%) will be using their tax refunds to improve their future, either by paying off bills or by investing the money. Given the recent economic issues that we’ve all been dealing with, I had expected to see a higher percentage using it to cover day-to-day expenses. As for us, I’m still not sure if we’ll be receiving an income tax refund. I’m planning on pulling together or tax paperwork over the weekend, and meeting with our tax guy* shortly thereafter. If we do get any money back, however, we’ll be adding it directly to our investment portfolio. 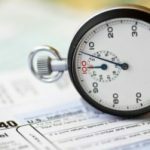 Are you expecting a tax refund? If so, how are you planning on spending it? Will you stash it in your savings account? Use it to help you get out of debt? Put it toward your mortgage? Add it to your retirement savings? Start a college fund? Or will you do something else entirely? If you’re looking for specific ideas, please you might be interested in reading my list of ten things to do with your tax refund. app, one can track evewry aspect of domestic and international flights with real-time updates and zoomable maps. by chance, and I am surprised why this coincidence didn’t happened in advance! I bookmarked it. Getting 1300 back. Paying bills. I got back over $3800 due to tuition credits and energy home improvements. I have about $150 in credit card debt that will be paid off — It’s taken me 3 years, but for the first time in my life I will have no credit card debt. Yay!! 🙂 The rest of the money will go into a savings account and eventually used to payoff my student loan when I graduate at the end of this year. I’m getting $1200 back from Federal and plan on spending it on parts for my custom AR15. I have no debt – even house is paid for. currently put $5000 a year to a ROTH and contribute 17% of salary to a 457b. It is far better to be able to spend like no one else once you have your debts removed and live below your income. Paid off my car two years early. I recently paid off my credit card, and have no other debt. I will likely save 80% of it, and use the other 20 for a little bit of spending on myself. I haven’t bought anything “fun” for myself (except for birthday and holiday gift cards) in nearly a year, when I had to buy a new laptop because my old one died, and this is often the only time I can do that. I owe the IRS about $350 and the state owes me about $500. I try to keep the refunds small so I get more money in every paycheck and put it to use sooner for savings and investments, rather than giving the govt an interest free loan that they pay back to me in one year. And the state tax refund amount will go to my savings. I’m in Australia and our tax-time isn’t until the end of June. I’ll be taking about $200 to spend on myself and then the rest will be divided amongst my various saving goals. It’ll be going straight into savings. I actually try to avoid getting a refund, but my husband was on disability for 4 months, so his total wages were lower than anticipated. We’re getting $2800, $800 for a trip for our first anniversary, $2000 towards debt. It will be saved. Locked away, sealed shut in savings. 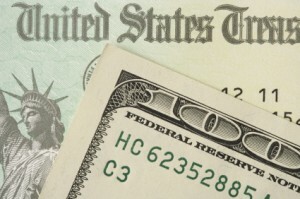 Maybe it will re-emerge in 30 years, maybe not:) Say bye-bye to the free world, tax refund! What tax “refund?” I owe money this year! First time in 27 years I’ve owed money at tax time. Unfortunately, I don’t think I’ll be getting more than a couple hundred dollars this year. It will probably just pad my investment account. We’re using ours to help our son pay his first year of car insurance and pay for our vacation. We’ll be receiving a tax refund that’s in the 5 digits, thanks to the husband’s bonuses. We’ll be using it to pay down our mortgage, it’ll knock out nearly 5% of our mortgage principal! If we get a tax refund, it will be used to pay down debt. Yep, getting a refund. I know, I know, I gave the government a loan for a while, but I look at it as another small way to save where I don’t miss the money. I put most in savings and the rest to buy season tickets to the performing arts center. I’ve done this for 3 years running. $2900 tax return. Both our vehicles are flirting with the 125,000 mile mark and I’m estimating that at least one of them (if not both) will need replaced sometime in the next two years. We both drive a ton of miles commuting. So, all of it goes into savings for a “new to us” car fund. Have about a $2000 tax return: all of it is going into the 529 (college savings) account. I have $3000 tax return coming back. I am spending it by 1)$1,000 to pay down debt 2)$2,000 is going to be saving.